To make the marinade, mix the ingredients together in a large bowl. Add the beef and mix to combine. For the pickled red onion, toss the ingredients together and set aside. Heat the vegetable oil in a wok or large frying pan over high heat. When the wok is smoking hot, add beef and stir-fry for 2-3 minutes or until just cooked. 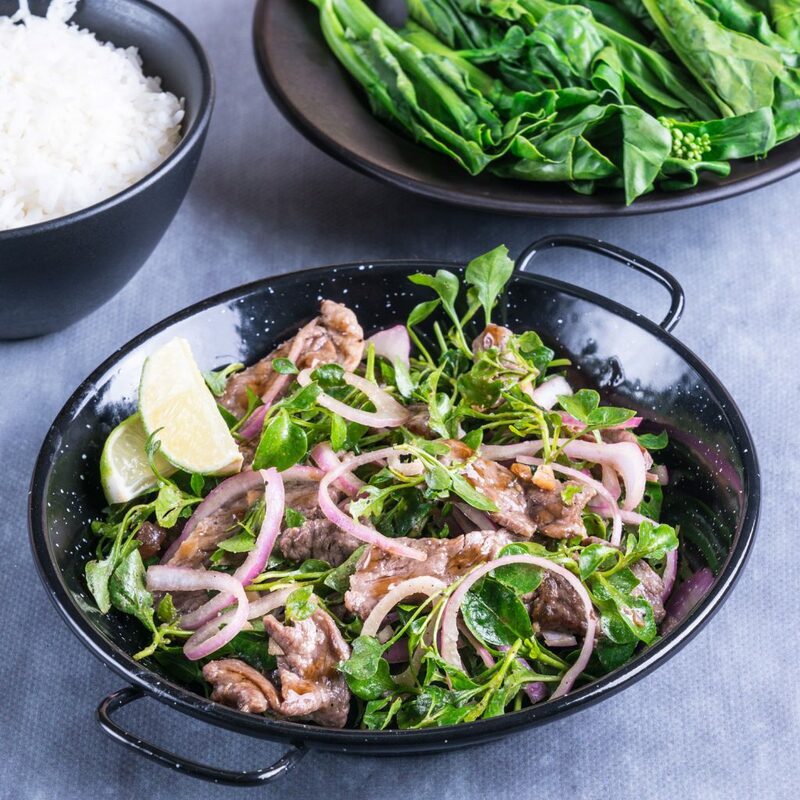 Place warm beef, watercress and lime juice in a large bowl. Add drained pickled red onion slices. Toss until combined. Serve while it warm with steamed rice and greens if you wish.